Have you ever been watching T.V. when a commercial comes on? You see happy people playing with their kids, eating ice cream, or biking in the park while a soft spoken person tells you the benefits of their latest medication with soothing music playing in the background. Suddenly, the voice quickly starts listing possible side effects like nausea, heart attacks, stroke or even death. What is that all about? You have just been offered the message of regulatory science and the FDA. Although safety is the utmost concern of regulatory science, enforcing magazine and T.V. ads is only a small part of it. 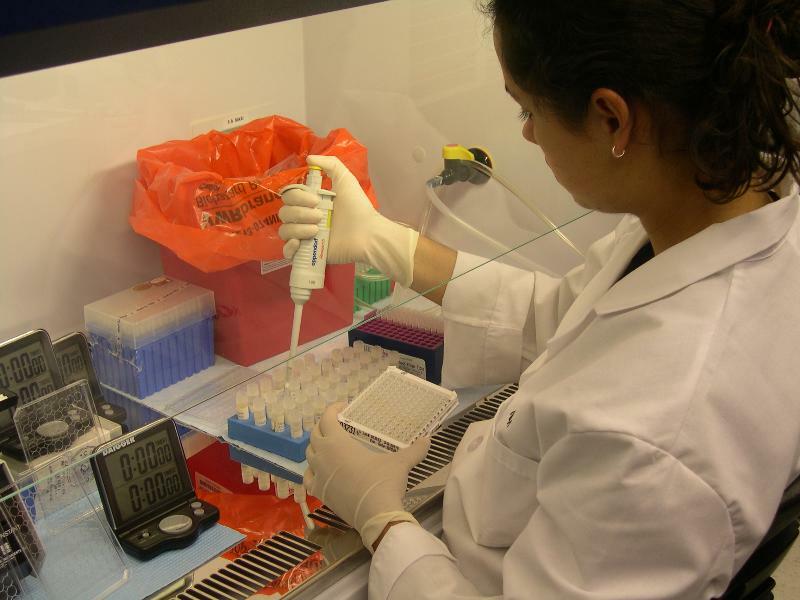 Regulatory scientists examine toxicology reports, monitor clinical studies, make recommendations and restrictions, and may even perform laboratory tests when necessary to ensure marketed food and drugs are not hazardous to our health. They basically have the last say on whether these items are allowed on the market for consumption. The Food and Drug Administration (FDA) is the key Federal agency for regulating food and pharmaceuticals for public use in the United States. This agency was established in the early 1900’s, but actually arose from the U.S. Department of Agriculture (USDA) Department of Chemistry created in the late 19th century to monitor the additives in food and drugs without regulatory powers. In 1906, Upton Sinclair reported on the unsanitary conditions in meatpacking plants in his book, “The Jungle.” That year, public pressure led the federal government to pass both the Meat Inspection Act and Pure Food and Drug Act. The latter would eventually lead to the formal establishment of the FDA as a regulatory agency nearly two decades later. Since then, the FDA has shown its flexibility through its numerous decisions. As times change, food and drug industries evolve and this means the FDA must always restructure itself to meet the needs of both companies and the public. In 1938, Congress gave the FDA authority over the expanding cosmetics and therapeutic device industries, which were then unregulated, after changes to the Food and Drug Act are proposed by the agency earlier that decade. In the 1940’s, the FDA demonstrated its authority over medications, assuming responsibility for testing insulin used to treat diabetes and also requiring testing and certification of the popular antibiotic, penicillin. 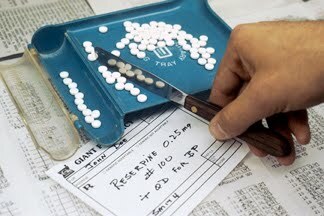 Perhaps, the case most noted in FDA history is its decision on thalidomide in the 1960’s. Thalidomide was a sleeping medication that caused birth defects in many babies after its release in Europe. When the media reported the FDA’s role in preventing thalidomide’s release in the U.S., there was overwhelming public support for increased pharmaceutical regulation. It has remained a regulatory force since then, although it has received a number of “facelifts,” especially in recent years. Many argue whether FDA regulations should be loosened to make new drugs available more quickly, but others feel they should remain very careful in their decisions to prevent unnecessary deaths. 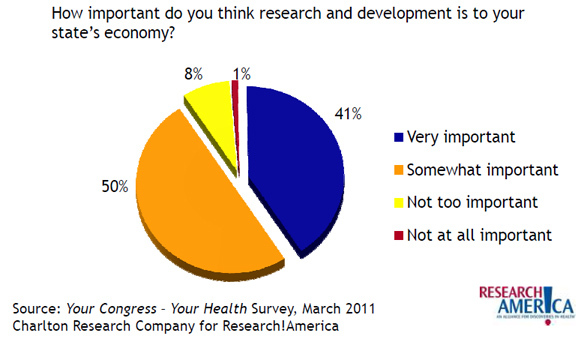 In fact, a 2010 Research!America poll indicates that Americans are split on this issue. It highlights why the FDA process has been a topic of debate for many years, factoring into the many changes made to the agency throughout its history. How do you feel about the FDA and the role of regulatory science in the pharmaceutical industry? This week's Tuneage Tuesday features N.E.D., a sweet band made up of gynecologic oncologists. The band's name stands for No Evidence of Disease and the "rock docs" hope to use their talents to raise awareness of gynecologic cancers and the 90,000 women who struggle with them every year. Let us know if you know of other scientist musicians! We'd love to feature them on future Tuneage Tuesdays. 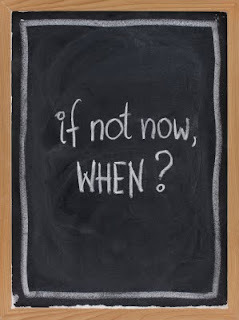 This week's challenge: Create an advocacy message as effective as that sign. Head on over to Scientific American and check out the blossoming blog network. Lots of our favorites from around the web have found new homes there, including Christie Wilcox of the renamed Science Sushi and Jennifer Ouellette of Cocktail Party Physics. Do naked mole rats know the secret to a cancer-free life? Parting is such sweet sorrow. This week the nation says farewell to the space shuttle program. With it goes an era of exploration that fueled the imaginations of millions of Americans. Your iPhone now has additional capabilities, including being able to detect cataracts. Don't worry, you can also use your iPod touch and some other smart phones as well. 2010: We got a sneak peak at Pipetting at Harvard. 2009: The New Voices bloggers debated Health Care Reform. In New Voices we talk about research and about communicating it. But, as Michael Tobis brings up in his recent post at Wired Science, sometimes we are advocating the types of changes even we may not be making. He discusses his ideas for counteracting global climate change in the context of his inability to counteract his obesity. As a science communicator, when we make recommendations, they need to be things we are sure to be doing (or would be willing to do) ourselves; for a number of reasons. We're sure they actually work, because we've done it. Personal examples are the most compelling. In every possible form of communication, a story, quote, or image tends to bring the abstract into reality. Also, we tend to be most passionate about things that happen to us, so it adds a persuasive element to our arguments. Leading by example is a great way to gather followers. We can also report on challenges. By saying, yes it may be difficult to schedule that yearly exam because your doctor's office isn't close by/accessible/affordable/etc., you can provide rationale for why those burdens are worth overcoming. For what other reasons is it important to "practice what we preach"? 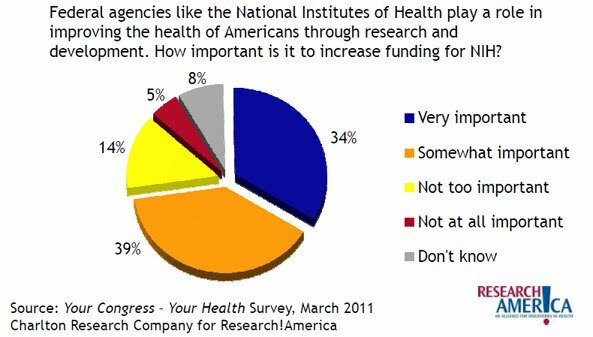 The recent budget deal for fiscal year 2011 reduced the National Institutes of Health (NIH) budget by over $300M. The NIH director has reported that grant funding rates are at an all time low. On July 26, the House of Representatives is scheduled to make their funding recommendation for NIH. Let them know that NIH is critical to our nation’s health, competitiveness, and economic vitality. Our nation needs robust support for health research now more than ever. In addition to sending a message to your members of Congress, pass this alert on to others who will speak out in support of health research. 'Like' this alert on Facebook and share it with your networks. Our federal budget will continue to be a critical issue and we need every willing voice to send our message loud and clear to our elected officials in Washington. Act now to support research. These ladies will either inspire you or make you feel old. Contestants in the Google Science Fair came from all over the world, but three Americans triumphed. Could these three be members of the next generation of New Voices? We hope so! Share this video with the aspiring young scientists in your life. This year marks the 30th anniversary of two mysterious outbreaks in America. One was of a form of pneumonia called Pneumocystis carinii pneumonia (PCP) and the second was a skin cancer called Kaposi’s sarcoma. Both diseases were quite rare, especially considering the patients were all young men in their 20's. These outbreaks actually marked the beginning of our awareness of a new disease we now know as AIDS. 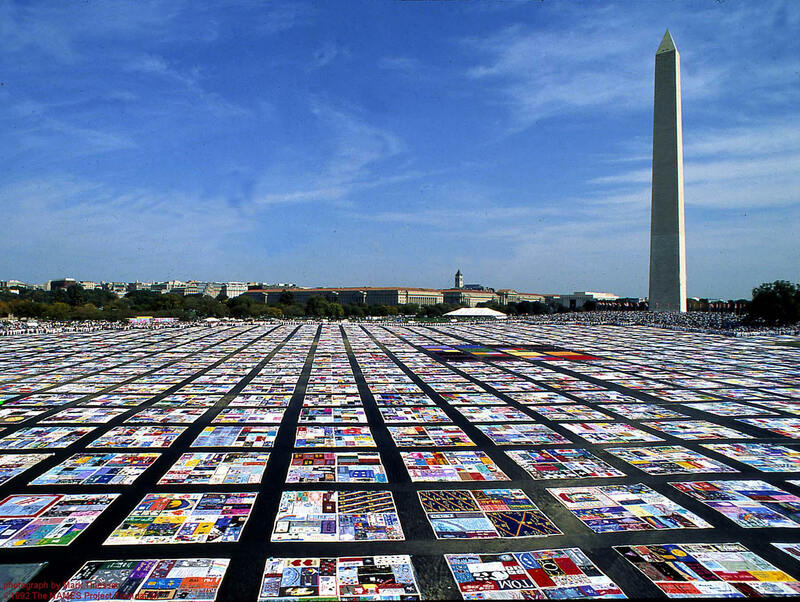 Today’s post is the first in a series about HIV/AIDS, including where we were and how far we’ve come in treating this devastating disease. However, I’m not planning on focusing on the science behind HIV/AIDS since others have already done a great job of explaining this. Instead, I want to talk about the different groups that were involved in the amazing progress we’ve made in our understanding and treatments. In just 30 years, HIV/AIDS has gone from a death sentence to a manageable chronic disease. Who made that possible? The first answer that probably comes to mind is scientists and physicians who had to figure out what caused the symptoms they were seeing in clinics and how the disease was spreading. This was a daunting challenge, but with the support of the US government as well as governments around the world, they identified the Human Immunodeficiency Virus and figured out how it was transmitted. Almost two decades before the emergence of HIV/AIDS, scientists had the idea that cancers might be caused by a special type of virus called a retrovirus. They developed a drug against retroviruses in the hopes that is would cure these cancers. Unfortunately it didn’t work. But, HIV is a retrovirus, so they were able to revisit their old drug. The drug, AZT, appeared to slow the progression from HIV infection to AIDS and represented the first major breakthrough for infected individuals. Not bad for a failed experiment! Since then, science has produced several other drugs to treat HIV/AIDS and many people are living long and symptom-free lives as a result. But scientists didn’t work alone. In my next post in this series, I’ll discuss the crucial role advocacy groups played in fighting this epidemic. As I mentioned last Friday, New Voices for Research existed as a private online community long before this blog or any of our other social media tools were available to anyone who wants to become an advocate for research. As we transition the community to Facebook (are you a fan yet? ), we're also cleaning out the archives of discussion board posts and activities we developed for the private community. Though a lot has changed in the past few years, there are a lot of advocacy and science communication basics as well as culture of science issues that are still relevant today. 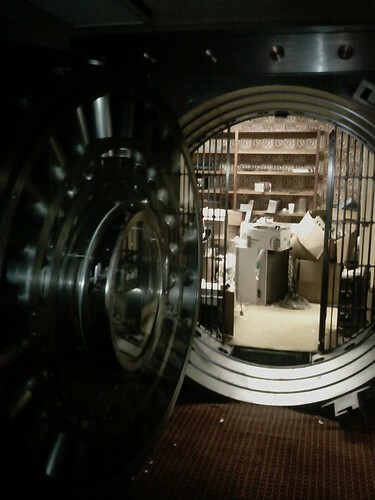 So we're breaking open the vault door on those posts* and sharing them here in a new occasional series, From the Vault. We hope you'll join us in discussions regarding the posts' relevance today, advocacy, and- as always - how these issues affect you. *Privacy and respect for members of the New Voices community is incredibly important to us. Comments or posts generated by members of the New Voices community will not be shared without their express approval. Although scientists are in a long term relationship with federal funding, the two don't always get along. By now, you are probably well aware of the debate over the use of stem cells for scientific research. For many people suffering from debilitating diseases like Parkinson’s or Amyotrophic Lateral Sclerosis (ALS), human embryonic stem cell (hESC) research offers hope for a future free from disease. For others, it represents a moral failure to protect embryos that, if implanted, might develop into a human fetus. While it may seem that the public is divided on this controversial issue, a recent poll commissioned by Research!America shows that 72% of Americans favor expanding embryonic stem cell research. This debate could rage for a long time, but what impact does it have on medical research? 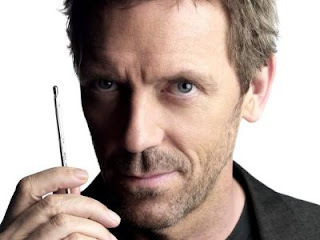 In the Spoonful of Medicine blog, Elie Dolgin points out that the on again/off again relationship between the US government and hESC research has left some scientists wondering if it’s time to break up with the feds and find a new partner. Several states have attempted to stabilize the funding environment for this controversial research by awarding their own grants to scientists. The most notable example is California, whose Institute for Regenerative Medicine (CIRM) had, as of last July, awarded over $1 billion to stem cell researchers at more than 50 institutes. There are now over 100 new faculty recruits in California who have CIRM funding for their research. Hundreds of CIRM-funded projects have also appeared in peer-reviewed articles published in respected journals. A report by from the Berkeley Research Group, estimates that 24,000 jobs will be created in California by 2014 as a result of CIRM spending. Concentrating funding in California will also strengthen biotechnology clusters. Such clusters have been shown to encourage business formation and start-up employment as well as to attract venture capital. While the controversy over hESC research continues to play out, California, New York, Massachusetts, Connecticut, Illinois, Wisconsin and Maryland have seized on the opportunity to woo scientists. If the new relationships prove fruitful patients and jobseekers may have these states to thank. Do you know where your elected official stands on federal funding for embryonic stem cell research? Have you told them where you stand? * The views expressed in the rap are those of the artist Baba Brinkman. Time is running out to cut a deal. On August 2nd, the US debt ceiling will be reached and meanwhile, talks between the White House and Congressional leaders have stalled. If Republicans and Democrats can come to an agreement it may be a short term increase in the debt limit to provide additional time for negotiations. However, President Obama has indicated that he has little interest in short-term measures and prefers to craft a far-reaching compromise that could fundamentally alter the fiscal state of the federal government. If a major deal can be struck, it will likely contain spending cuts and possibly caps for government programs. On the mandatory side, these cuts could mean reduced benefits for Medicaid, Medicare, and Social Security beneficiaries. The cuts could be dramatic as these programs are considered to be the primary driver of federal spending and have seen unprecedented growth in recent years. Caps or cuts to the health budget function could place major constraints on the nation’s ability to carry out health research. In the short term, appropriations hearings are underway in the House and these decisions may impact the makeup of a broader compromise over the debt ceiling and federal spending. Health research is an engine for innovation critical to the future of our economy, and a source of treatments and cures critical to the health of our population. Act now so your representatives know that cuts to research should not be part of any deal now or in the future. As some of you may know, New Voices began as a private online community. It had the same mission - to empower early-career researchers to become advocates for research - that we have here in the public spaces today. However, the idea was that some scientists might feel uncomfortable talking about issues in places their advisors might have access too, and that communicating about science and advocating for research were a bit taboo in the scientific community. As that trend changes, and more and more young scientists are interested in communicating about research to their communities and elected officials, we're breaking out of our shells and going public with the New Voices for research community. First with the blog in December 2008, then with Twitter in March 2010, and now with Facebook in 2011. We hope you'll become a fan and join us in our quest to become advocates for research! New Voice Jaime Vernon reviews President Obama's press conference on Wednesday and wonders whether it is foreshadowing bad things for medical research in a guest blog over at The Intersection. New research shows that some genes may be able to be turned on by a burst of light. Is evolution the latest weapon against cancer? 14 universities were among the top recipients of U.S. patents in 2010. The U.N. Food and Agriculture Association will officially declare rinderpest the second disease in history to be eradicated, after smallpox. Although this disease doesn't directly afflict humans, it has led to massive famines throughout history by killing livestock. 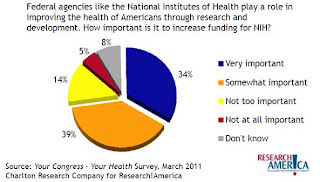 2009 - Matt did a round-up of all the health holidays in July, and New Voices was advocating for an increase in funding for the NIH. Just like we are today. New Voices will be off on Monday celebrating America's birthday. Stay safe out there amongst the barbecues and fireworks - we'll see you on Tuesday!